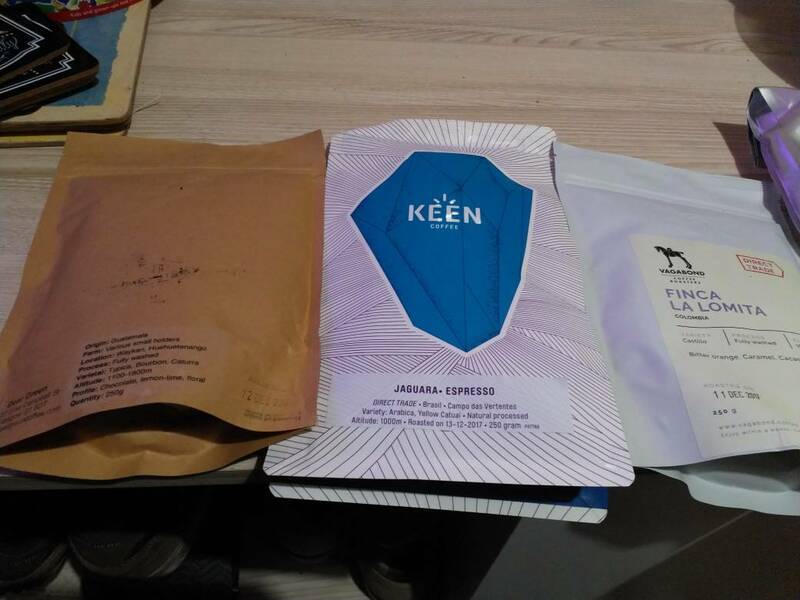 I know we will be receiving this tomorrow but is there any way to find out the coffees or roasters in the subscription before it is shipped? I'm asking as earlier in the thread it was stated we may be able to change our subscription on a monthly basis if for example we like the look of the third coffee. Maybe I'm being stupid and this is clearly visible but I haven't managed to spot it yet. Hello, hope you are all well, hope the subs land today! The up and coming months subscriptions are usually on the home page, but we have not listed February just yet, I am just waiting for a confirmation of stock from a Roaster after all their Christmas sales. All previous subscriptions are listed at the bottom on the home page of www.dogandhat.co.uk. The swapping of subs from 2 boxes to 3 boxes, is currently enabled, but I have not sent an email yet as this still in BETA with the software provider. I have tested and it seems fine. Now we have rolled past the 20th I will send an email out over the Christmas break. I think we have a way to automate any extra bags you may wish to order of any of the coffees, which I will detail also. An update on the Heart and Graft Rwandan...Maybe it's just me but to my taste it has massively improved as I neared the end - so almost 4 weeks after roast date it was an espresso that I started to look forward to. I've had this experience with a few other beans but unfortunately I'm not obsessive enough to record that level of detail (but I'm going to start adding it now as another variable). Also, Phil we had the last of the test bag of Rwandan 2 days go, had it for 8 weeks (not same batch as the subscriptions), opened 8 weeks ago maybe - its was one of the best espresso's we had all year, it was velvety and much richer in flavour than it was previously. I preferred as a V60 when we tested it originally. Completely changed. Mine has arrived, looking forward to trying it all. Given the Keen Jaguara a go first. V60 using an Aergrind and the Perger method (12g in 200g over 2:20), was drinking Foundry's Rocko Mountain Reserve with the Aergrind on 2.9, adjusted to 2.10 first go with this as it looked darker. First go wasn't quite right, made one for myself and one for my Dad (his with milk), he enjoyed it without sugar which is unusual for him, my black one however was drinkable but very little sweetness or acidity and a fair amount of bitterness. Had another go at 2.11 on the Aergrind and it has improved quite a bit, still some bitterness but some nice acidity and a hint of sweetness, maybe some cocoa on the finish but I'm new to pour-over and actually being able to taste the notes (could never really taste much in the way of notes with Espresso, can't drink it straight and milk seems to drown out anything but extremes for me). I expect it could do with a little more slackening on the grind but that is tomorrows job, if it continues to improve I will be very happy. Now to try to sleep after 3 cups of Rocko Mountain and two of this. I went for the same one the Keen as Espresso 19 to 38g, 38 second. Massive chocolate hit. It a natural, but I could not detect any funky flavours. Very nice, my wife will love this. I reckon it will make an awesome flat white. What was I saying? Just tied as a flat white and definitely getting boozy chocolate now, unless someone put a whisky in my coffee when I wasn’t looking . Nice.